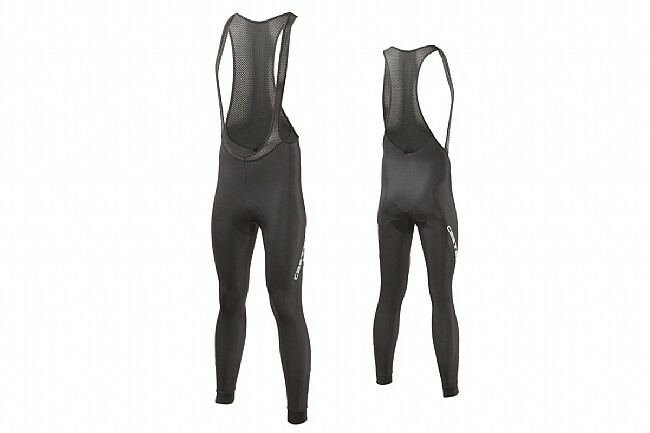 For wet and cold conditions, Castelli's Nanoflex 2 Bib Tight is at the top of the list. Using five-phase nanotechnology treatment, the fabric of these bib tights simply sheds water when the rain starts coming down, but when it's dry, Castelli assures that this fabric is just as breathable and warm as their benchmark Thermoflex fabric. To get the most out of this water-resistant treatment, seams are kept to a minimum, and the ankles feature GIRO3 grippers that lie flat and seal tight against shoe covers. A KISS Air seat pad provides excellent comfort with its anatomic shape and continuously variable thickness, and the bib stays securely in place with mesh bib straps up top. For easy on / off, YKK® camlock zippers are located at the ankles, along with reflective accents to increase visibility. Originally, I ordered a pair of these last spring. BTD says order a size up, and since I have a couple of L Castelli jackets, ordered L (Im 511, 175). I couldnt pull them over my thighs, which are relatively muscular. I brought them back to the warehouse, and ended up with Garneau bib shorts. But I still wanted something more versatile for winter, so I ordered again, this time XL. The fit is good. A little long in the legs, a bit snug at the shoulders (I like the stretchier suspenders of Garneau better), a good, slightly compressive fit in the legs. Nice chamois. Ive ridden them in quite a bit of varied weather, and they perform pretty much as advertised. Water beads up, for the most part, though as rain gets heavier, youre definitely going to get water penetration. But you will be warm. Ive been out in the low 40s, and while my knees are cool after a few hours, they arent cold. Ive yet to be out where the temperature stays below 40, so I cant really say how theyd hold up on a longer ride at that temperature. If your ride warms up, they wick away sweat pretty well. I would recommend them. Unless you have massive thighs, then finding a size that fits will be hard, as the material isnt as stretchy as most shorts.